Who would have known that the book I was working on two weeks ago has basically turn into an autobiography? Certainly, not me. Not a “tell all." and get even … it’s more about how I’ve overcome some of the pit holes, traps, mistakes, tragedies and disasters in my life. Whew. It’s in layout now. THIS WEEK on Author YOU – Your Guide to Book Publishing, host Dr. Judith Briles invited Mike Larsen to join her on what’s new at in Book Proposals and publishing in general. Tune in for the LIVE show at 6 Eastern, 5 Central, 4 Mountain, 3 Pacific and for our out-of-the-country members and followers … you are going to have to do the clock crunching for your time zone at http://bit.ly/BookPublishing-iTunes. You can also go to the Home page of http://www.AuthorU.org, scroll down and click on any of the past shows—just click and are instantly there! With over 100,000 downloaded podcasts each month from around the world, you are in good company! The best part of writing is the deep dive into the mind. And then expressing it articulately. Very cognitive. Very creative. 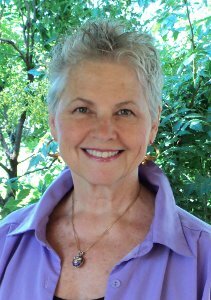 Judith Briles can provide background, commentary and story ideas related to writing, book publishing and professional speaking. She responds quickly to interview requests. Call 303-885-2207 (cell), 303-720-668-8927 (land) or email Judith@Briles.com. Get E-mail Alerts When Judith Briles --The Book Shepherd Sends news releases.